Based on the novel by Sarah Waters, this film is a touch tricky to classify in that it is a ghost story, but it is not in the classic horror genre. It is a period piece set in the summer of 1948, just before the NHS came into being. Which is relevant though not prominent in the story, as the protagonist is a young country doctor, Faraday (Domhnall Gleeson), who has recently returned to the village, where he was brought up. One of his first calls is to attend to the maid Betty (Liv Hill) at nearby Hundreds Hall. The house has memories for him, in that as a small child he was taken there for the Empire Day fete in 1919 by his mother, who had been a housemaid there. And he fell in love with what was then a glorious country house, which had been in the Ayres family for centuries. The house is now decaying and crumbling and the son of the house, Roderick (Will Poulter), severely disfigured from service in World War II, is struggling to keep the estate afloat after the heavy taxes imposed by the new Labour government. 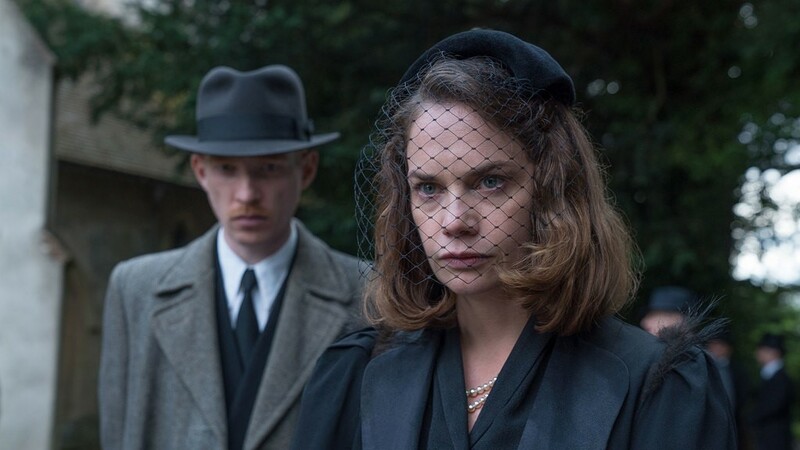 His sister Caroline (Ruth Wilson) is running the house and their mother Mrs Ayres (Charlotte Rampling) is still keeping endeavouring to keep up appearances. Betty confesses to Faraday that she is feigning illness because she is frightened by the house and fears there is something evil there. In the following weeks Faraday becomes closer to the family. He treats Roderick for his disabilities, which appear to be mental and emotional as well as physical. An awkward love affair develops between him and Caroline and he even manages a sort of friendship with the snobbish and chilly Mrs Ayres. But a series of unsettling events – the amiable family dog turning inexplicably vicious; an unexplained fire in Rodney’s bedroom; the servants’ bell ringing in a deserted room – lead the family to believe that the house could be haunted, perhaps by the ghost of Mrs Ayres’ first child Susan, who died on the evening of that 1919 fete. Or are these manifestations merely in the imagination of the family members, now finding themselves living in a very different England from the one into which they were born? Because the ghost aspect of the story, while it is unsettling with scenes that chill the spine at time, is also a device for examining the changing class system of the period. And at the centre is Faraday’s childhood obsession with the house and a way of life, which he coveted but could never be his. Gleeson has a certain emotionally buttoned down quality as an actor, which works perfectly for the role. Wilson’s performance, wary eyes and Celia Johnson style clipped speech of the period, also tells of repressed emotional depths and traumas, which at times break out. As Roderick, Poulter is disturbing, half hidden as he is behind almost Phantom of the Opera type prosthetics. 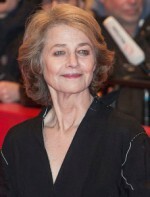 Newcomer Hill is striking as Betty the maid and Rampling takes the opportunity to break out of the character’s emotional corset, when she gets to play one of the most chilling of the ghost scenes. The visual and social detail of post war society is beautifully done. The enigmatic and low key nature of the ghost story and its outcome may annoy horror film fans, although it is satisfying enough in the context of what is really a period piece about the specifically English nature of class distinctions in a time of change – something which Irish born director Abrahamson has nailed with impressive accuracy.